1. 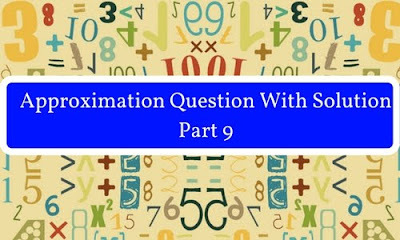 What approximation value should come at the place of question mark (?) in the following question? 2. What approximation value should come at the place of question mark (?) in the following question? 3. What approximation value should come at the place of question mark (?) in the following question? 4. What approximation value should come at the place of question mark (?) in the following question? 5. What approximation value should come at the place of question mark (?) in the following question?